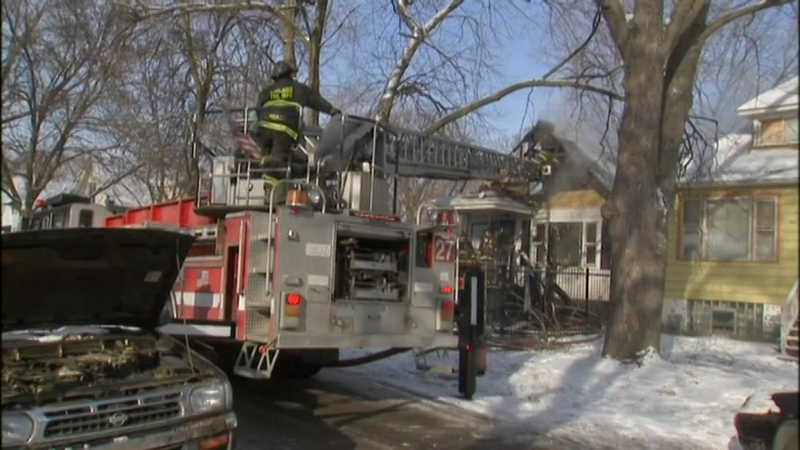 CHICAGO (WLS) -- No one was injured in a Roseland house fire that left one home severely damaged, fire officials say. Extra firefighters were called to the scene of the fire in the 200-block of West 106th Place Monday morning as an extra precaution in the cold. There were no reports of any problems with water or fire hydrants.